Expert flow control for binaries, build artifacts, and release candidates. A single source of truth for ALL your software parts. Support all popular component formats. Always-on for continuous delivery and deployment. Rest comfortably with care from world-class experts. 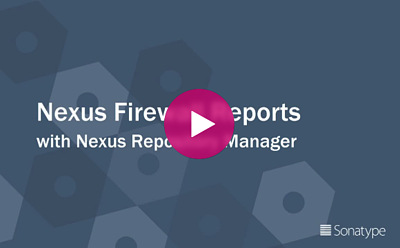 10 million developers trust Nexus. The perfect system of record for all your software parts. 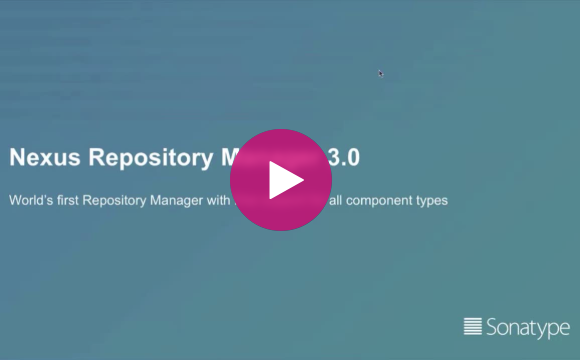 Manage components, build artifacts, and release candidates in one central location. Understand component security, license, and quality issues. Modernize software development with intelligent staging and release functionality. Scale DevOps delivery with high availability and active/active clustering. Sleep comfortably with world-class support and training. Universal support for all your favorite formats and tools. Store and distribute Maven/Java, npm, NuGet, RubyGems, Docker, P2, OBR, APT and YUM and more. 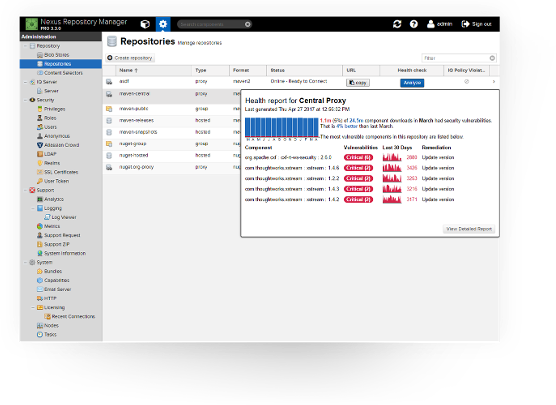 Manage components from dev through delivery: binaries, containers, assemblies, and finished goods. Awesome support for the Java Virtual Machine (JVM) ecosystem, including Gradle, Ant, Maven, and Ivy. Integrated with popular tools like Eclipse, IntelliJ, Hudson, Jenkins, Puppet, Chef, Docker, and more.